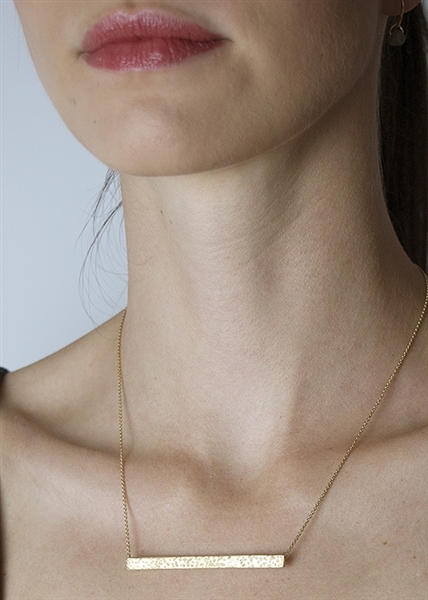 Janesko custom and fine jewelry pieces are a one of a kind statement. 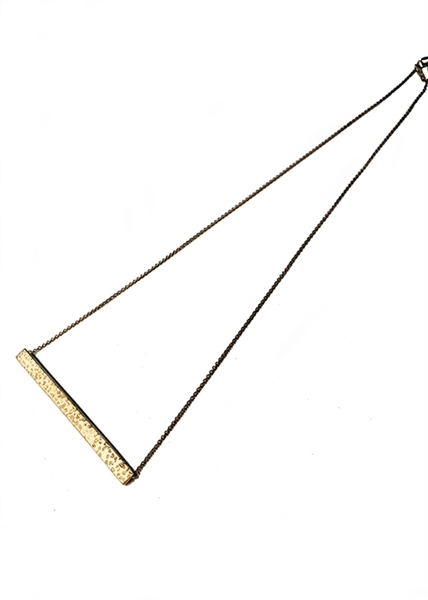 The East West necklace features a tapered horizonal bar hand etched by the designer. The etching catches the light and reflects light like inset stones.